Syria's antiquities chief said the tetrapylon - a group of four pillared structures which were mainly modern replicas - has also been ruined. 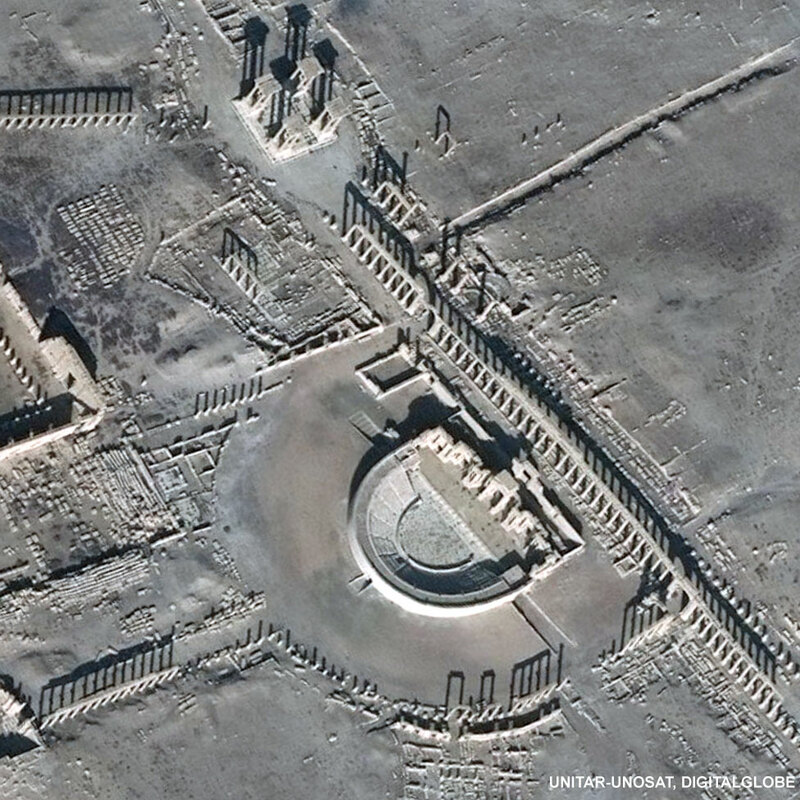 The jihadists recaptured the Unesco-listed archaeological site in December from government troops. The head of the UN cultural body said the destruction was "a new war crime". Its director general, Irina Bokova, said what she described as "cultural cleansing by violent extremists" had resulted in "an immense loss for the Syrian people and for humanity". 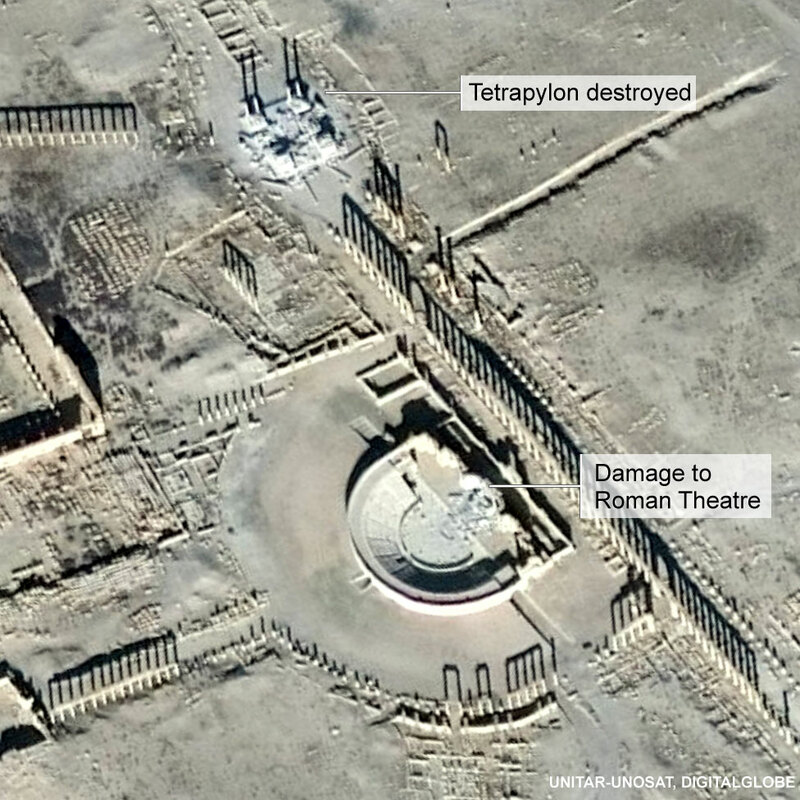 IS destroyed other monuments after it first seized Palmyra in May 2015. The group held the site and nearby city known locally as Tadmur for 10 months. The militants were forced out by a Russian-backed government offensive in March 2016, but regained control while pro-government forces where focused on battling for the city of Aleppo late last year. Maamoun Abdulkarim, the head of the Syrian government's Antiquities Department, told the Associated Press that reports of the latest destruction first trickled out of Palmyra late in December, and then satellite images which became available late on Thursday confirmed it. The US-based American Schools of Oriental Research posted the images on its Facebook page, saying only two of the tetrapylon's columns remain, and the monument appeared to have been intentionally destroyed using explosives. Only one of the structure's columns is original, as the others were rebuilt in 1963. On Thursday, a monitoring group said IS militants had beheaded four people and shot eight others dead outside a museum close to the archaeological site. 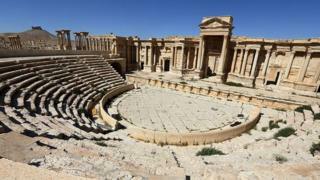 The militants have previously carried out killings in the Roman Theatre. When they first held the archaeological site, they blew up temples, burial towers and the Arch of Triumph, believing shrines and statues to be idolatrous. They also destroyed the Temple of Bel - the great sanctuary of the Palmyrene gods - which had been one of the most important religious buildings of the 1st Century AD in the East.